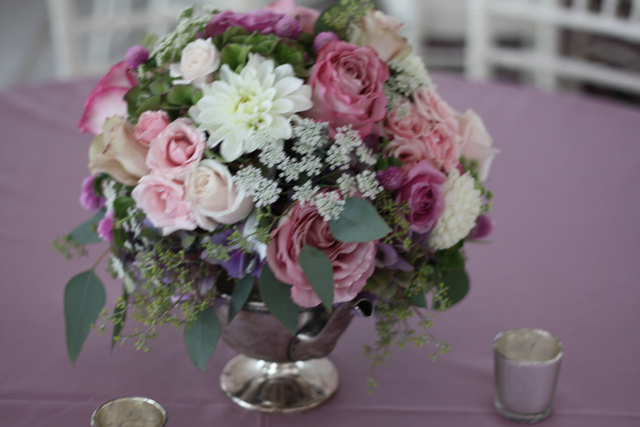 This past weekend we provided the flowers for our bride Danielle. She married here groom Timothy at a church in Ashburn and the reception took place at Merriweather Manor in Leesburg Virginia. 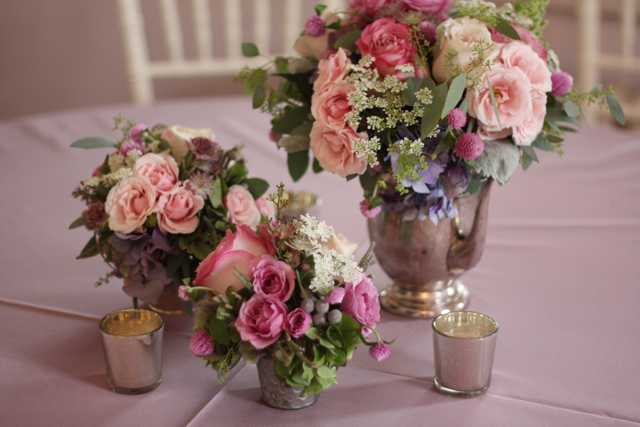 We got to help with the styling and look of this event and it was such a pleasure to be involved. Many thanks to event planner Kelley Cannon who managed the event. 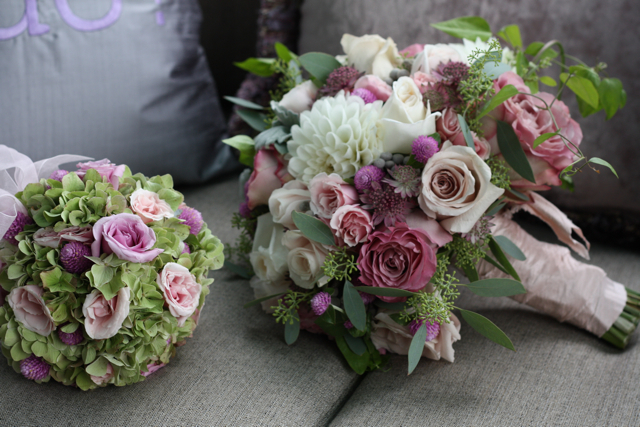 The bouquets were designed with antique green and purple hydrangea, silver brunia, dusty miller, lavender roses, lady moon roses, clematis vine, dahlias, gomphrena, seeded euc, astrantia,spray roses, and quicksand roses. 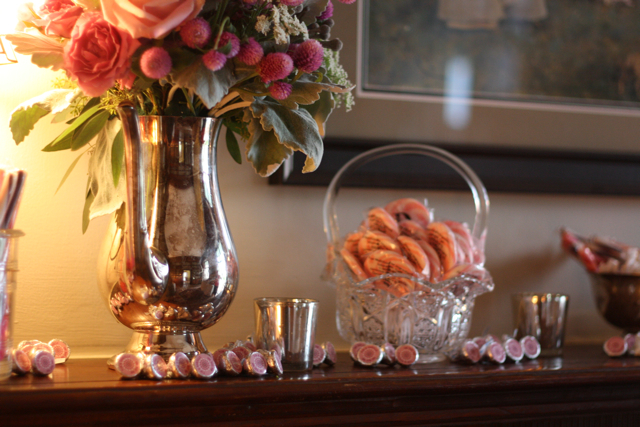 We created this sweet pomander for the flower girl. 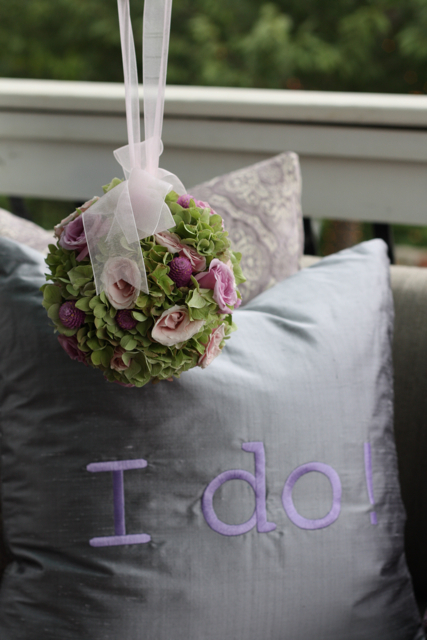 The brides mother made pillows for the lounge furniture in the colors of the day. 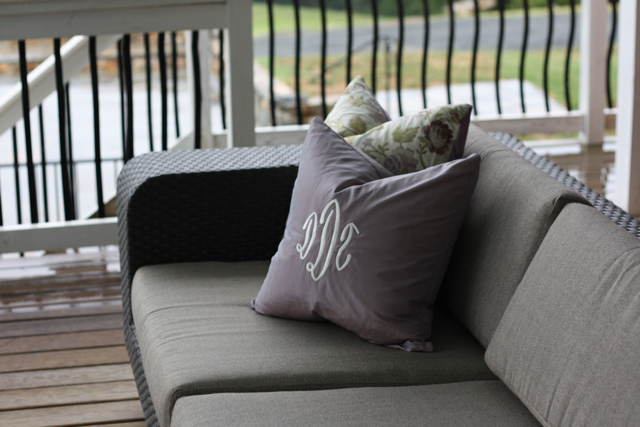 The pillows were embroidered with the couples wedding date and their monograms. 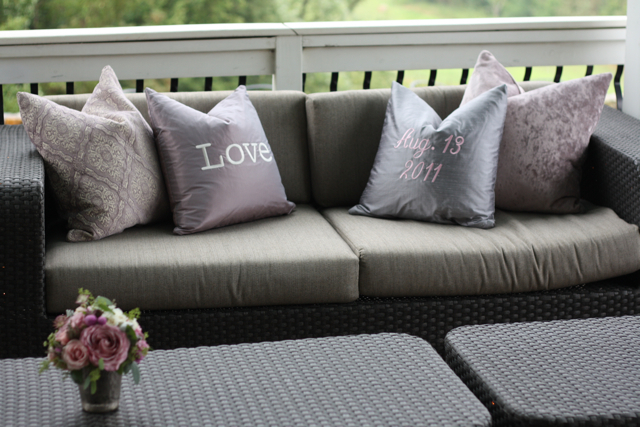 I loved this idea and I am certain these will be a fabulous keepsake for the couple. 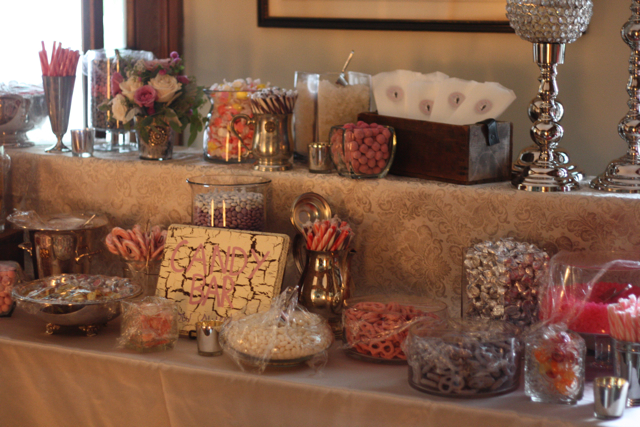 Our candy bar was a huge success and it was so large that we had to extend the design across the mantel. 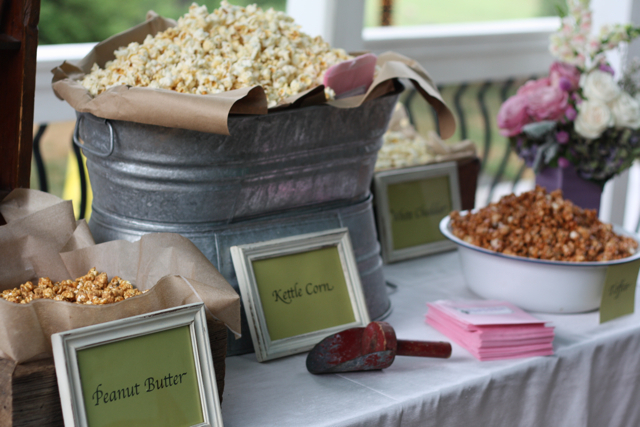 We also provided a popcorn bar with popcorn from my daddies store Heider Farm Market. 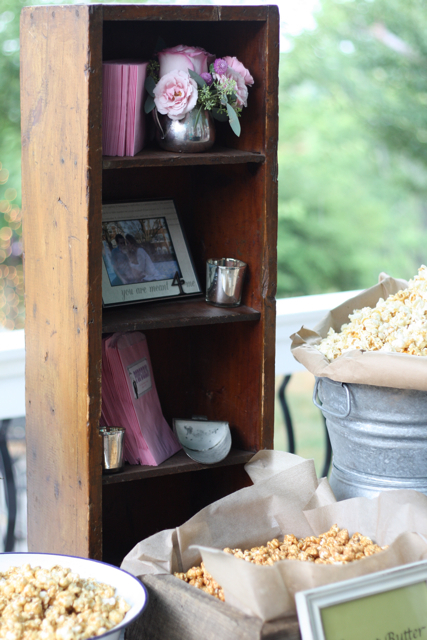 The popcorn stand was styled with our vintage props and antiques. 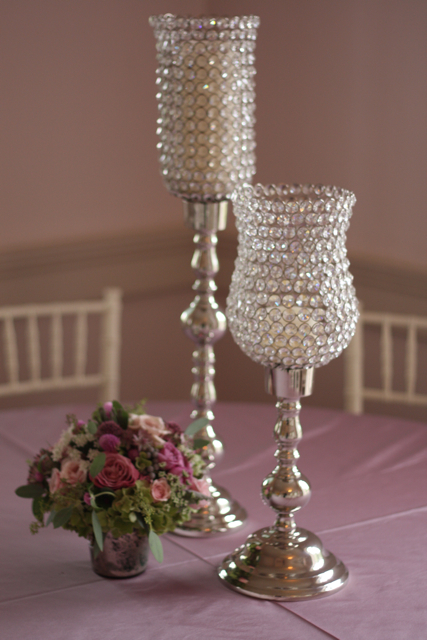 Centerpieces were created in an eclectic mix of silver vessels, mercury glass, and crystal votive stands. 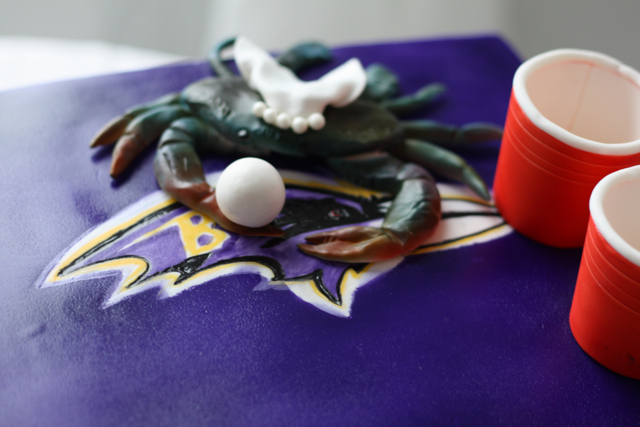 The incredible wedding cake and grooms cake was designed by Jason of Market Salamander. 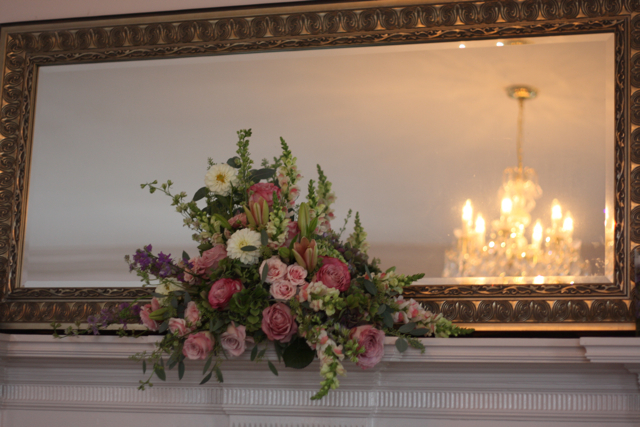 This wedding was such a pleasure to design and style. 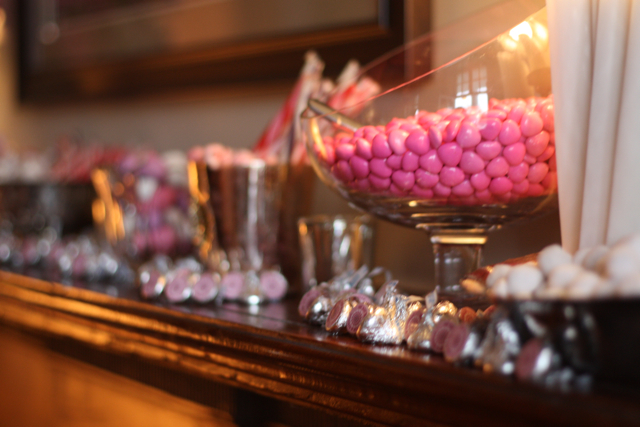 I am so thrilled with the work we did for this event. 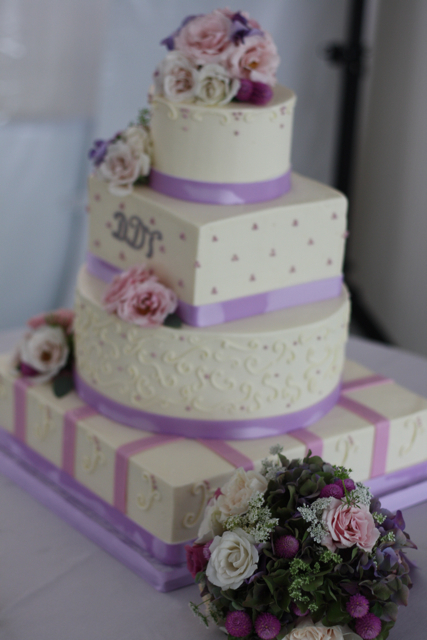 Happy married life Danielle and Timothy, thank you for allowing us to be a part of your wedding. 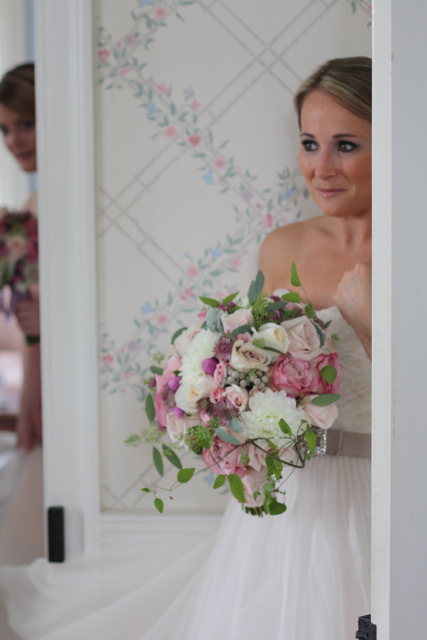 Holly, these flowers were so gorgeous! 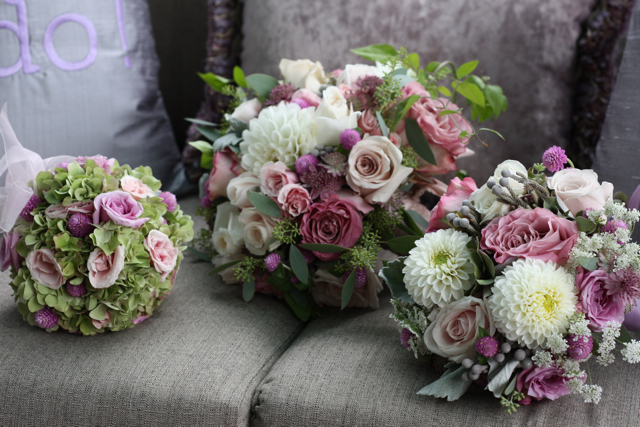 I was lucky enough to get to take some home and they still look beautiful- almost a week later. You are fabulous! WOW! Everything is so ornate! Beautiful. Where did those pillows come from!?!?!? Thank you Holly for everything! 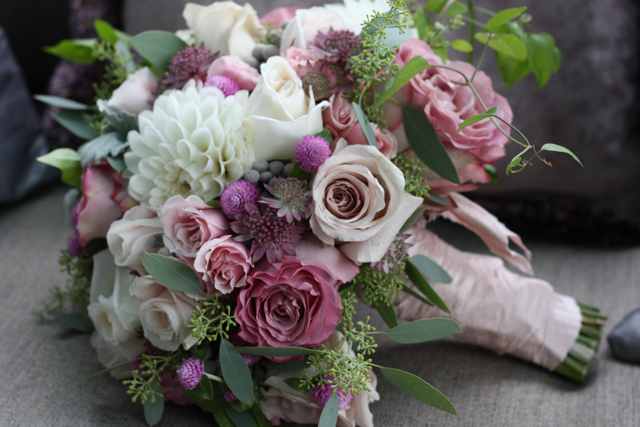 The flowers and design were absolutely stunning and I’m honored to be a part of your blog!! 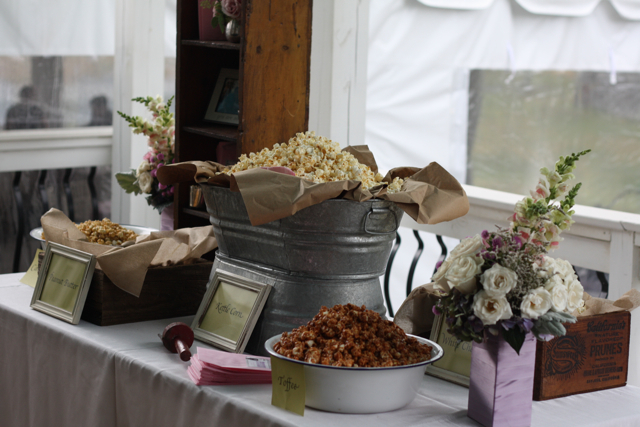 I have had so many compliments about the flowers and the candy and popcorn bars – it was simply perfect!! 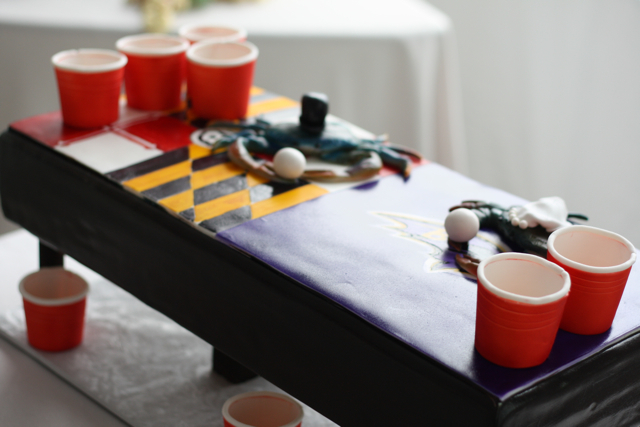 @Monica, my mother made these for Tim and my wedding! She has a shop in Leesburg, The Drapery House! !